We manufacture superior quality Baraque Premium, which is also called Acrylic Solid Surface. These are manufactured using superior quality raw material, which are procured from reliable vendors of the industry. 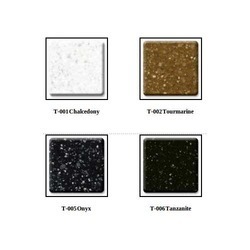 Tristone is generally used as artifacts, table tops, safety grills and wall cladding. We “MANYA IMPEX is a big and reputed MANUFACTURER and EXPORTER of ACRYLIC SOLID SURFACE in INDIA. We are pleased to introduce MANYA “ brand Products to You.We are Manufacturing, Marketing and Exporting diversified range of ACRYLIC SOLID SURFACE fulfilling the requirement of our valued customers like You. 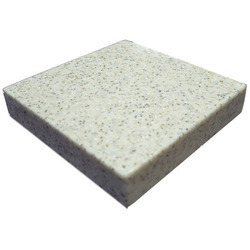 We MANYA IMPEX is a big and reputed MANUFACTURER and EXPORTER of ACRYLIC SOLID SURFACE in INDIA. We are pleased to introduce MANYA brand Products to You.We are Manufacturing, Marketing and Exporting diversified range of ACRYLIC SOLID SURFACE fulfilling the requirement of our valued customers like You. With the valuable assistance of skilled team of professionals, we are engaged in offering an extensive range of high-quality Acrylic Solid Surface. corian solid surface Sheets with 12mm and 6mm thickness. We have 100% acrylic solid surface and modified surface. Solid surface supplier is supplying all korean acrylic solid surfaces . We are specialised in Supplying and installation of material in various brands.We have trained fabrication team which can fulfill your dreams of a perfect interior with solid surfaces material. We have variety of services in solid surface material including fabrication, Thermoforming, CNC Cutting and inlay work. MADE UP OF PMMA MMA , ATH , UV RESISTANCE CHEMICALS, MATRIX CHIPS, CROSS LINKING AGENTS, PIGMENTS, STABILIZERS, BINDERS, CURING AGENTS ETC.